Hunter's Haven: 2 bed / 1bath. Sleeps 6. Throughout the years, hunters have sought safe places where they could shelter from the weather, gather around a warm fire or a hot meal, and tell stories of the one that got away. 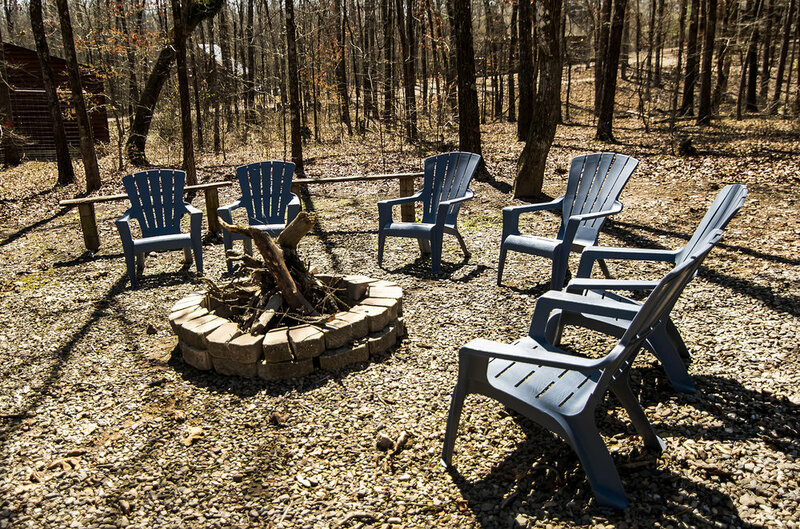 Hunter’s Haven is that safe place for today’s traveler into Kiamichi Country! 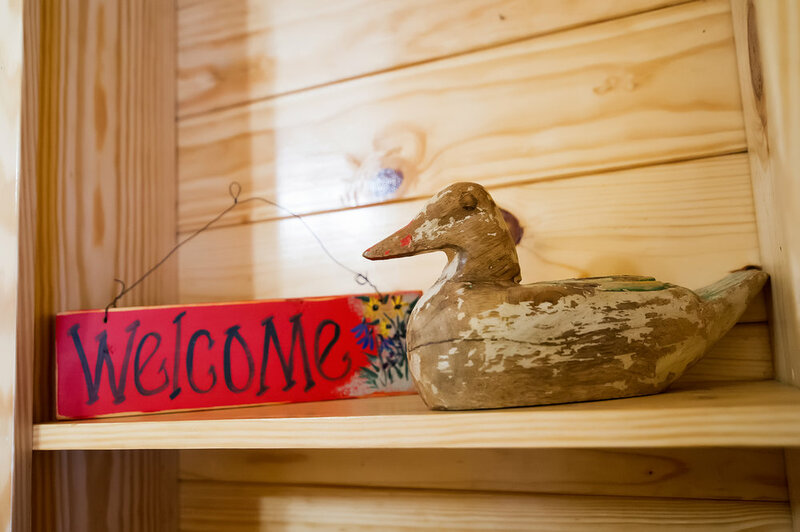 Whether you are on the hunt for sun and fun on our beautiful Broken Bow Lake, or just searching for a few peaceful days reconnecting with family – Hunter’s Haven has what you need. 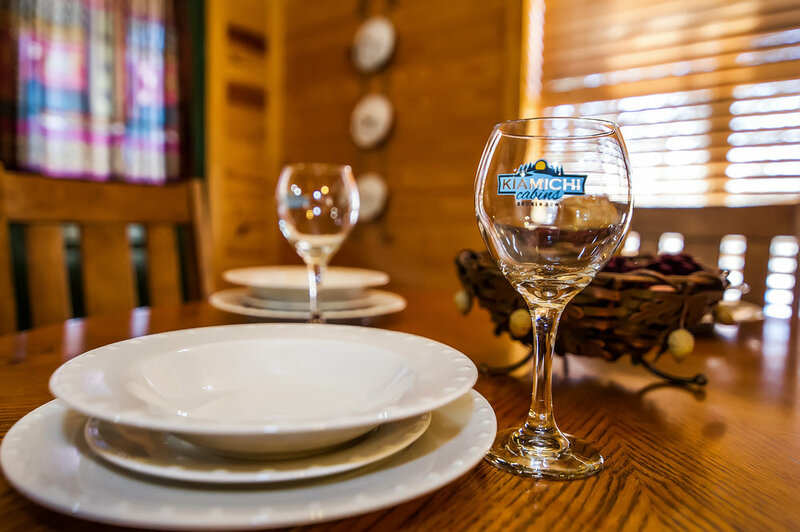 Located across the highway from the entrance to the challenging 18 hole Cedar Creek Golf Course and just a short drive from dipping your feet in the lake, this cabin puts you close to all the dining and excitement that Hochatown has to offer. 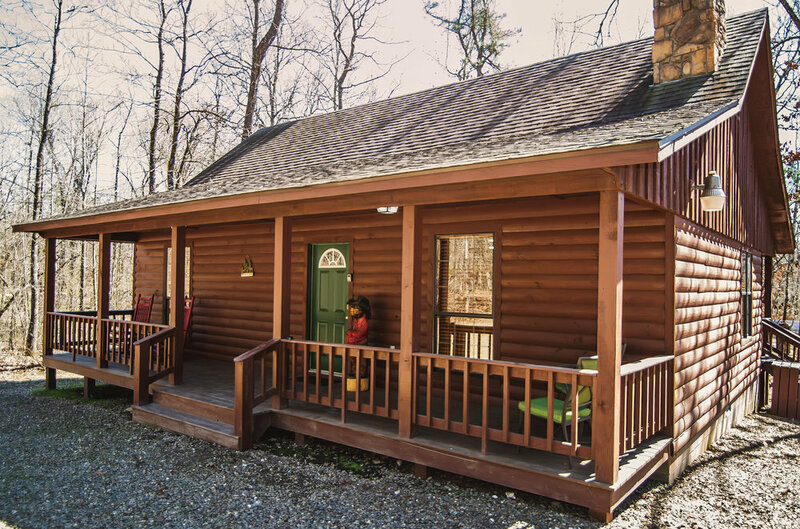 Hunter’s Haven sits on a large wooded lot with only a few cabins nearby. 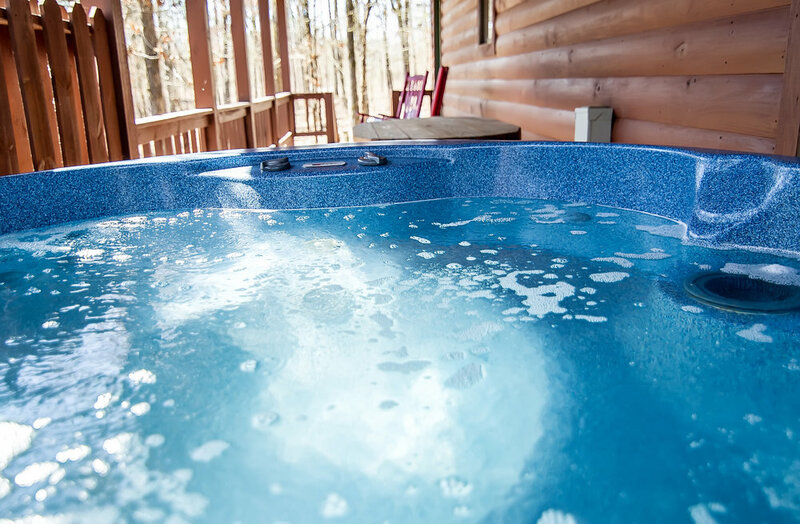 Start your mornings with coffee in rocking chairs on the front porch and end your nights soaking in the hot tub on the back deck. But in-between – adventure awaits! Boating on the lake, pulling trout from the river, zip lining, kayaking – so much to do and see. 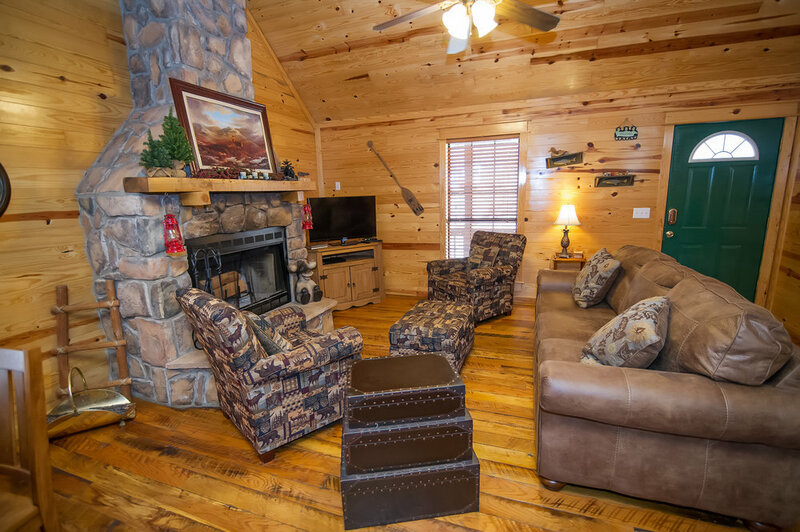 Simplicity and comfort are the story inside Hunter’s Haven – a large living room is the perfect place to enjoy time with the family, sharing stories in front of the stone fireplace. Or maybe you prefer popcorn and movies on the flat screen TV? Hungry, the ready to cook kitchen and charcoal grill makes putting meals together a snap. If you prefer the challenging of roasting hot dogs and s’mores over an open fire, – well we have that also. As the excitement of the day slows down, you will be able to wind down in comfortable queen beds while sharing your adventures online with free Wi-Fi.